In a previous blog post I discussed how anxiety can affect your life. If anxiety isn’t managed effectively, it can disrupt you and those around you and cause other issues that could be even harder to deal with. You know you want to lessen your feelings of anxiety, worry, and all the awful stomach twists, headaches, and fears that are stopping you from doing certain things too! But how? I left you with one tip in that blog post last month, so I’ll start off there, followed by 5 other tips to help you reduce your anxiety. Accept The Things You Cannot Change – Having to accept you are not in control and there is nothing you can do about certain situations can cause a sweat to come over you alone. But when things are beyond your control, what good will come of worrying about different outcomes? This may take practice, but once you realize the situation is out of your control, try to shake off the stress, accept it, and let things happen as they may. Be Prepared For Anxieties You Can Control – If what’s causing your anxiety is an upcoming presentation, doctor’s appointment, social gathering, the next time your neighbor’s dog charges at you, or any activity, event, or situation you are fearful of having to deal with, stop a take a breath. For example, if you are stressing about an upcoming meeting with an important new client, first take a deep breath and relax (as much as possible), then make sure to prepare yourself by doing your research and prep-work for the meeting to make yourself comfortable with what you need to present or the materials/ information to understand. Then, go ahead and think about what’s the “worst” that could happen and figure out what you could do to make it better. If you are worried that you will start sweating profusely, get tongue-tied, or say something “stupid”, say “So what if I do?” You can laugh it off, or show that you know your stuff by following up with something you learned when doing your research. 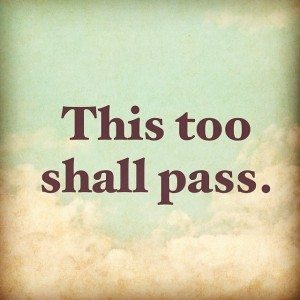 Remember The Phrase, “This Too Shall Pass” – Even the most stressful, anxiety ridden situations and feelings will not last forever. 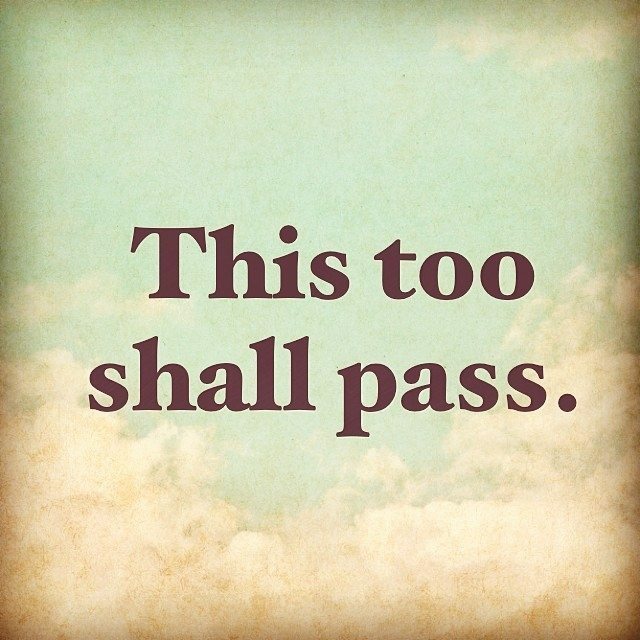 When you feel the anxiety kicking into high gear it, it may seem terrible at the time, but try to remind yourself that the moment will pass, even if it only seems temporarily. Find Your Go-To Relaxation Technique – Each person will be different, so discover what works well for you, then use it for some fast-acting relief from anxiety. This could be some deep slow breaths, saying a positive mantra, or distracting yourself temporarily with a book, puzzle, or a fun task. Use this to get your mind out of its anxious state and get back to your natural mood. Be careful though not to take advantage of this where you might always put on a movie to distract yourself, but end up doing this to get out of working through some thoughts or fears that could be holding you back from accomplishing what you need to. Exercise! – Exercising is not only healthy for your body, but good for your mind as well. 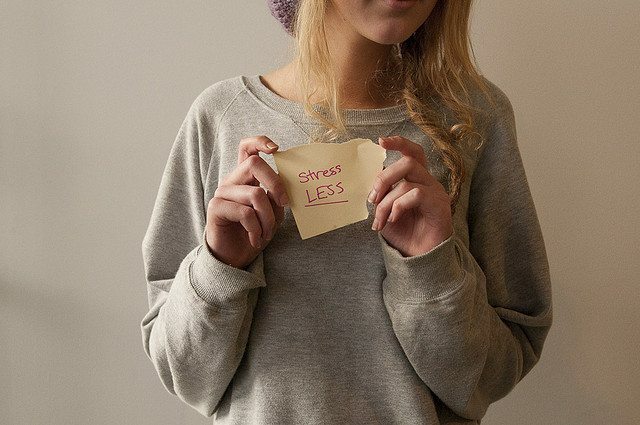 It increases the levels of endorphins, dopamine and serotonin, which in short help you feel better. Endorphins especially are your body’s natural medicine for alleviating anxiety and depression. Beyond the chemical reactions exercise brings, it’s also a great way to distract you from your anxiety. Release stress and pressure and improve your physical and mental health with routine work outs. Talk To Someone About It – Anxious thoughts can easily take over your mind, but talking with someone about it could leave you with a clearer perspective as well as let you release some of your stress just through verbalizing it to someone. Having a close friend or family member there to help you through some tough times can help, but often it’s best to speak with a counselor, therapist, or psychologist to help walk you through effectively managing your anxiety. Mental health professionals can listen with an open mind and provide you with the tips you need to help you maintain a less anxious mind and life.